Apologies. The blog is suffering from Lt. Columbo-itis. Little things bother it. So here are some more questions about Bond 25. 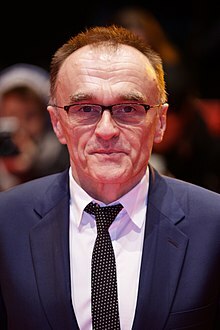 Why did Danny Boyle go public with his involvement with Bond 25 now? Without a mind reading machine, there’s no way to know for sure. But Boyle’s behavior is a lot different than his predecessor in the 007 director’s chair, Sam Mendes. In January 2010, The Wall Street Journal interviewed Mendes mostly about other topics. But the paper asked if it was true he’d be directing the next James Bond film. In contrast, Boyle’s comments to Metro and other outlets were relatively straight forward. He said he planned to direct Bond 25 if a script being written by John Hodge is accepted. If that occurred, the plan would be to start production toward the end of 2018. Just to be clear, the blog likes straight forwardness. Meanwhile, if you don’t want to comment, you say, “No comment.” That’s because when you deny things that turn out to be true (i.e. Ben Whishaw was playing Q in Skyfall, etc.) it hurts your credibility in the long run. On the other hand, intentionally or not, Boyle may have pressured Eon Productions and Metro-Goldwyn-Mayer a bit. If the Hodge script were rejected (and Boyle ended up not directing Bond 25), both would get questions about what happened. Do you think Eon/MGM will turn down the script when Hodge finishes it? Not likely. Supposedly, actor Daniel Craig is really keen on Boyle directing. For now, the blog suspects Eon boss Barbara Broccoli will move heaven and earth to keep him happy. She’s repeatedly expressed her admiration for Craig. If Hodge delivered 110 pages of chicken tracks as a script, sure it’d be rejected. But if the Boyle-backed story is even remotely acceptable, it will get approved and off we go. At least, that’s the blog’s guess. How does the pace of Bond 25 development compare with recent 007 films? Bond 23 (Skyfall) was suspended because of MGM’s 2010 bankruptcy. In January 2011, there was an announcement the movie was back on, finally confirming Mendes’ involvement. 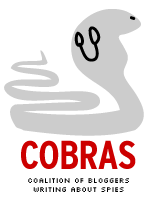 Principal photography started in November 2011. Bond 24 (SPECTRE) had a first draft script submitted in March 2014. Principal photography originally was slated to begin in October 2014, but was pushed back to December 2014. At this point, Hodge is still writing his first draft. Neal Purvis and Robert Wade had worked on a Bond 25 script for the better part of a year, but that’s been put aside for the Boyle-backed Hodge script. Also, at the start of 2011 and 2014, it was known what studio (Sony Pictures) would be distributing Skyfall and SPECTRE respectively. No announcement has been made concerningt what what/which studio(s) will be distributing Bond 25.